Excess protector is an optional extension/benefit that can be added to the basic comprehensive car insurance quote in Kenya , it reduces or removes the excess amount the insured client has to pay when he/she makes a claim on the policy. When the insured raises a claim, he/she normally has to pay a share of the costs/losses and the other (larger) share is paid by the insurance company. This puts the insured client in a costly and frustrating position where they could have to pay over Ksh 100,000 before their claim can be accepted and their vehicle repaired or replaced. The excess protector is a concept that is popular across the world, in countries like the UK, insurers offer reimbursements for the excess borne by the insured and include more complex concepts like No Claims Bonus and further more an insurance cover for the No Claims Bonus too! An example of car of value Ksh 1,000,000 is involved in a traffic accident and the repair costs are Ksh 200,000. How much excess does the client have to pay before the car can be repaired? The client pays Ksh 25,000 out of their own pocket Ksh 25,000 before the car can be repaired. The client pays Ksh 0. This is because the excess is more than the minimum amount of Ksh 15,000. So the insurance company pays for the full cost of the damages to get the car repaired. Note : If the repair costs/expenses are below Ksh 15,000 the client is expected to pay the full cost of the costs. This is to reduce the abuse of the Excess Protector for small repair expenses. So, the Excess Protector serves a major purpose to completely eliminate or greatly reduce the excess amounts paid by a client when a claim is raised. This is applicable for claims for repairs to the insured vehicle arising out of a traffic accident. For private motor insurance in Kenya, this is normally set at 2.5% of the value of the car with a minimum excess value of KSh 20,000. Commercial vehicles and PSVs are set at 5% of the value of the vehicle and minimum excess value also at KSh 20,000. This applies for theft of the insured car. It can apply to partial theft or total theft. Partial theft is when a part or parts of the vehicle are stolen but the not the vehicle in its entirety, commonly the side mirrors, tyres, front grill, wheel caps are stolen from parked vehicles in Kenya. Total theft is commonly executed using car jackings/robberies. There are different excess rates for claims made for car theft, depending on the security of the car. Clients with cars fitted with Anti Theft Devices (ATD) or Tracking Systems pay smaller excesses in the event of car theft. Percentages for the excess liable vary from as low as 2.5% of car value to as high as 25% of car value depending on the security features of the insured vehicle. It is therefore advisable to fit one’s vehicle with the necessary security devices as it reduces the chances that it can be stolen and secondly, in the case of theft, the security devices make it easier to track and recover the vehicle. Finally as stated above, the owner of the vehicle is liable to a much smaller excess for the insurance claim in the event that the car is stolen. This is a common insurance principle which applies to car insurance in Kenya. When the insured/client is involved in road accident and the third party (other driver/vehicle) is to blame for the accident and this is captured and acknowledged in the police abstract. Here, the insurance company of insured/client will cover all the damages from the accident and the client does not have to pay any excess amounts. This is under the insurance principle of subrogation. 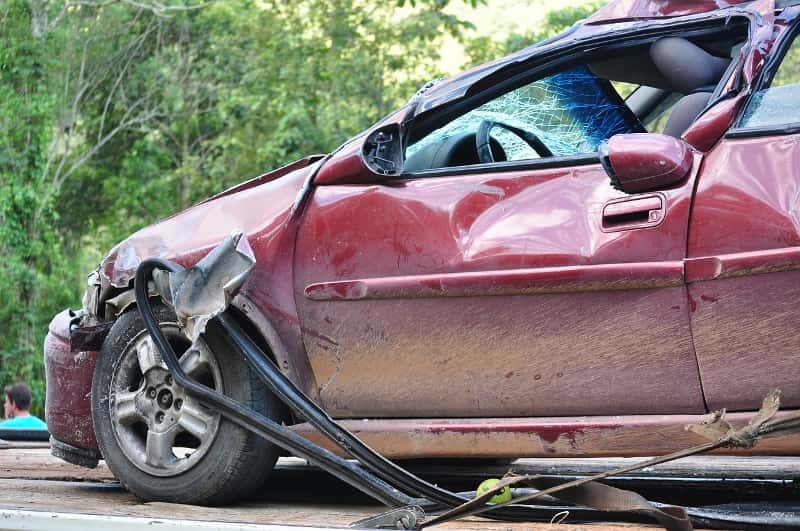 The insurance principle of subrogation is the legal principle under which an insured party surrenders its rights against a third party to the insurer after claiming and receiving a compensation for an insured loss. Caveat : If the damage is below the excess amount, the insured/client is still expected to meet all the costs of the repairs. Damage to the windscreen glass and the radio/entertainment system is covered separately on comprehensive car insurance policies. Therefore, the excess is not charged on the damages to the windscreen and car radio, the insurance company pays 100% of the claim expenses. Most insurers authorise the repairs to be done by the client and refund the costs there after so as to expedite the process. It is important to check what limits for the windscreen and radio cassette are provided by the motor insurance cover in Kenya before purchasing it, some insurers provide as low as KSh 20,000 while others provide higher limits up to KSh 100,000 for right about the same price. The Excess Protector expires immediately after use. This means that if a claim is raised on a policy and the excess protector is triggered/used, then it will have to be bought again immediately for the remainder of the policy or at the renewal of the policy as per what the client desires. If you are looking for a car insurance quote in Kenya, then get in touch with us to compare different packages for benefits, price, excesses, claims settlement and customer service, simply start an online chat with our insurance expert or reach us on our contact details below. Find out what other customers are saying about their insurance covers by visiting our customer reviews page.